The Double Pyramid is the synthesis of the relationship between food and environment which BCFN (Barilla Center for Food & Nutrition) has been analysing, with a multi-disciplinary approach, since 2009. The idea of constructing the environmental pyramid as the upside-down image of the classic food pyramid has succeeded in effectively conveying the message that the most healthy foods are also those that are most consistent with an environmentally sustainable ethic. 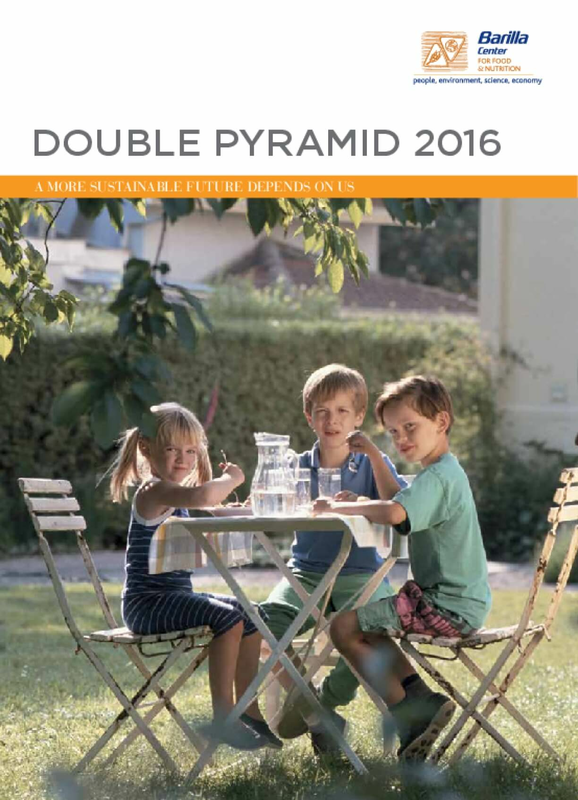 As is the case every year, the report dedicated to the Double Pyramid aims to combine scientific rigour and dissemination in order to reach the broadest audience possible, made up of people who make important choices everyday, for both themselves and for future generations, in terms of the foods that they eat. The BCFN research group, which has contributed to the creation of this volume, hopes for a collaboration between both public and private entities in order to help build a more just, equal, and sustainable world. Copyright 2016 by Barilla Center for Food & Nutrition Foundation. All rights reserved.